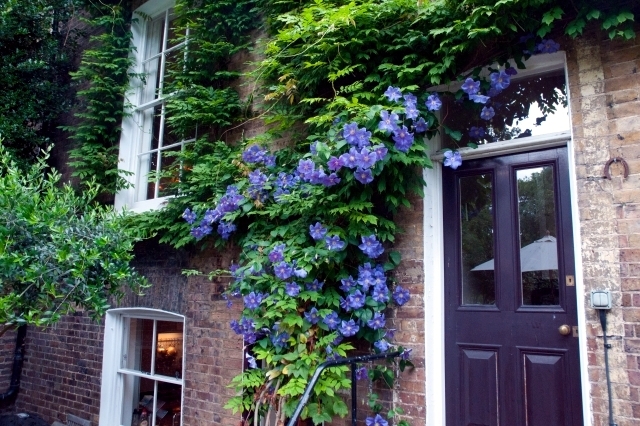 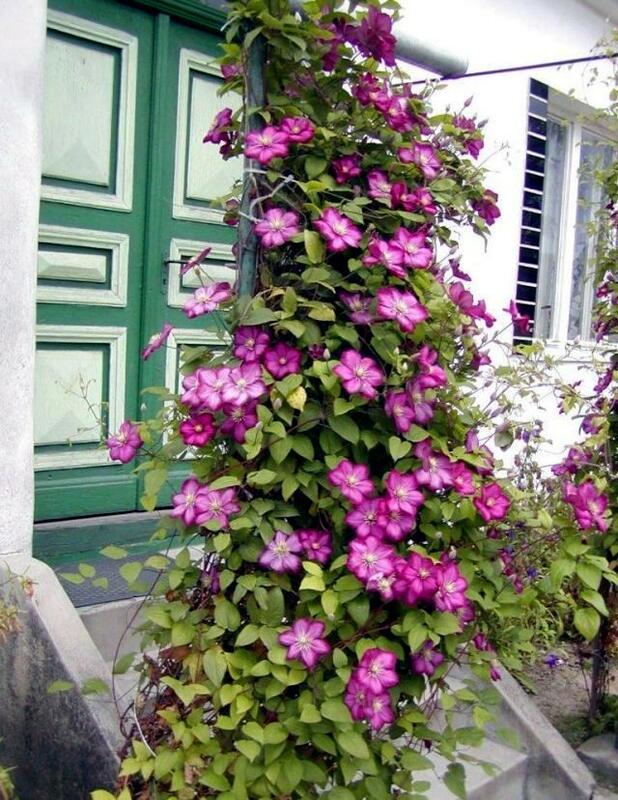 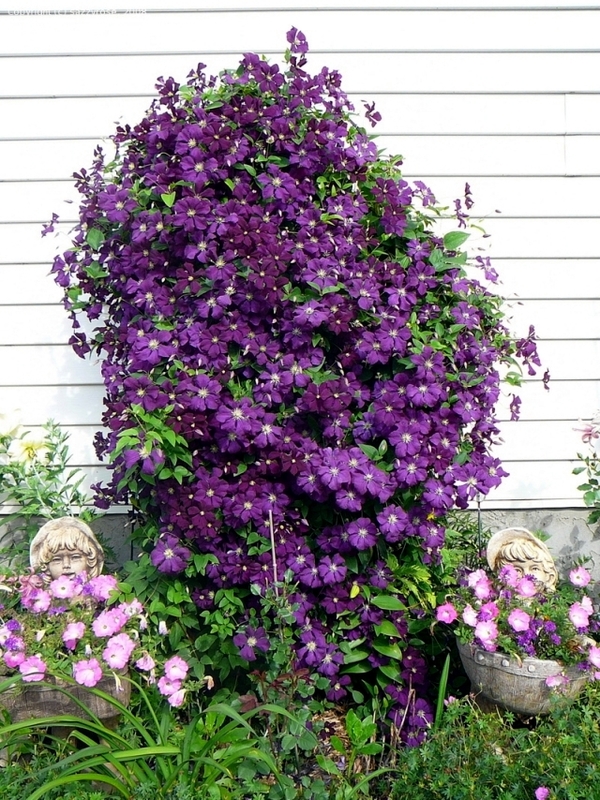 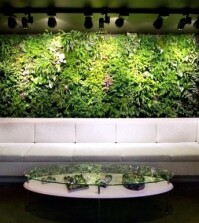 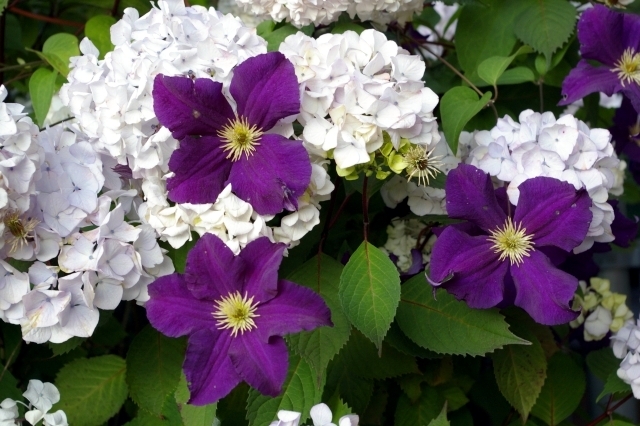 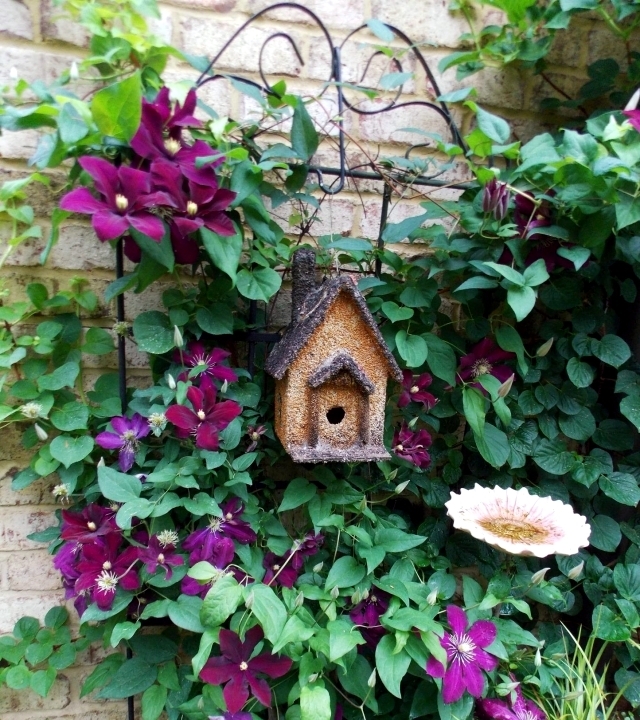 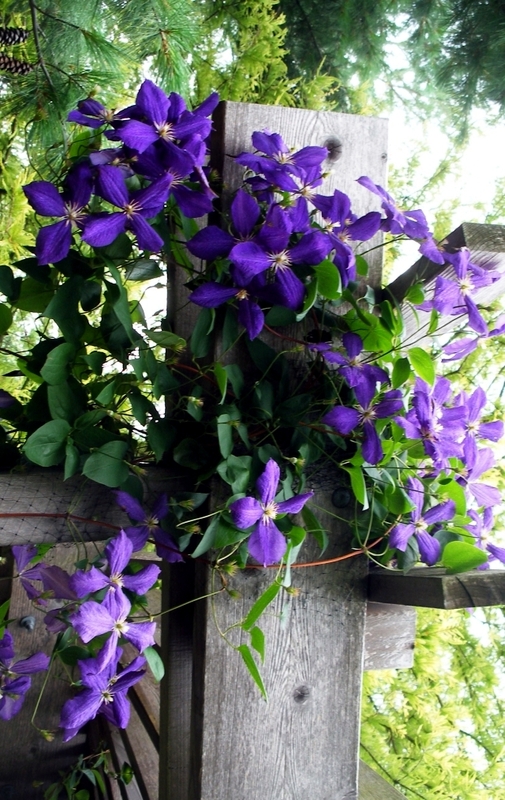 Home > Garden Design > Clematis Climbing Plants – Tips for planting, care and cutting. 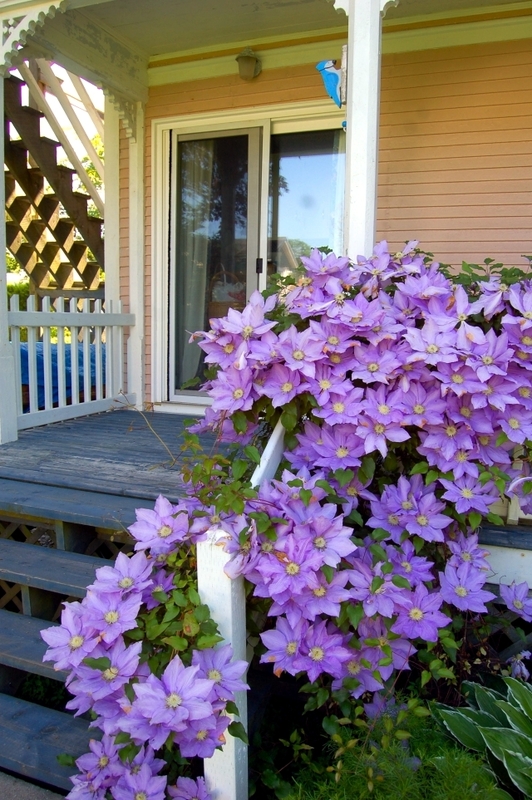 Clematis is very popular in our gardens. 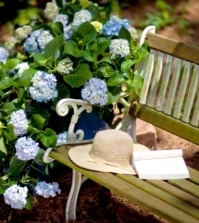 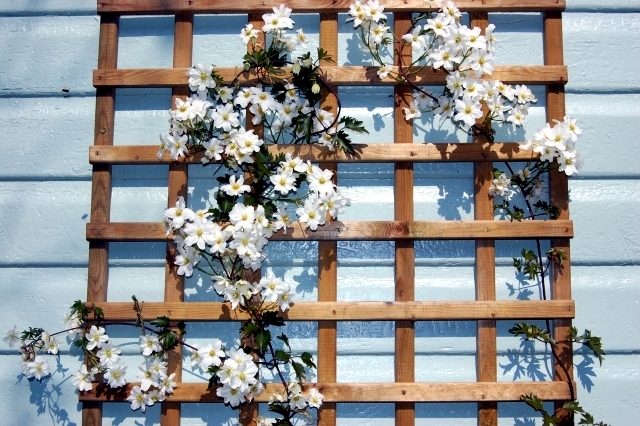 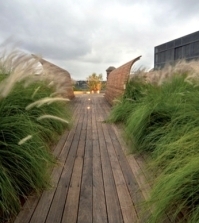 Beautify fences, pergolas and walls, these flowers are frequently planted together with roses. 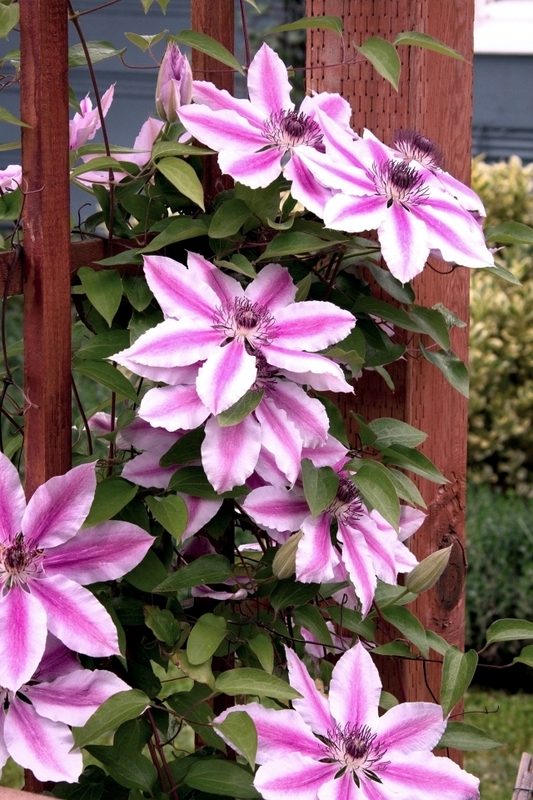 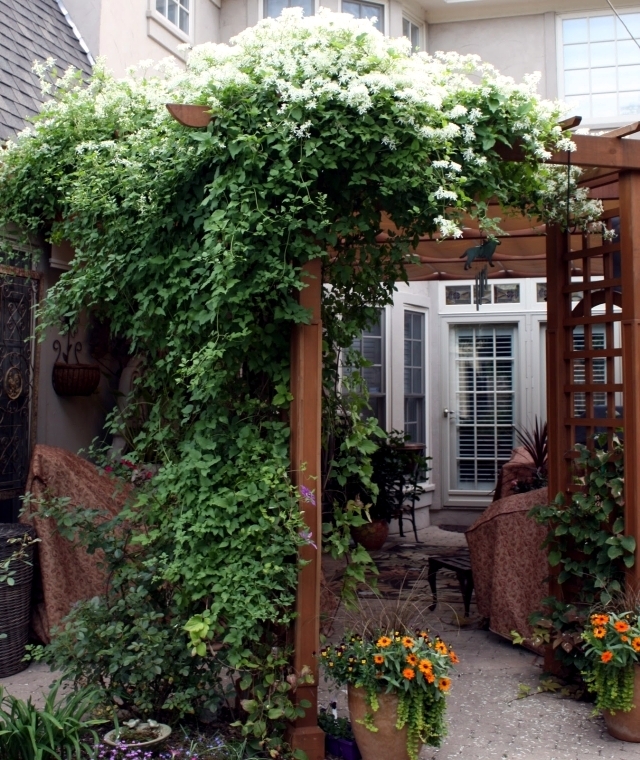 The charming Clematis climber is suitable not only for gardens and terraces, but also as a pot plant on the balcony. 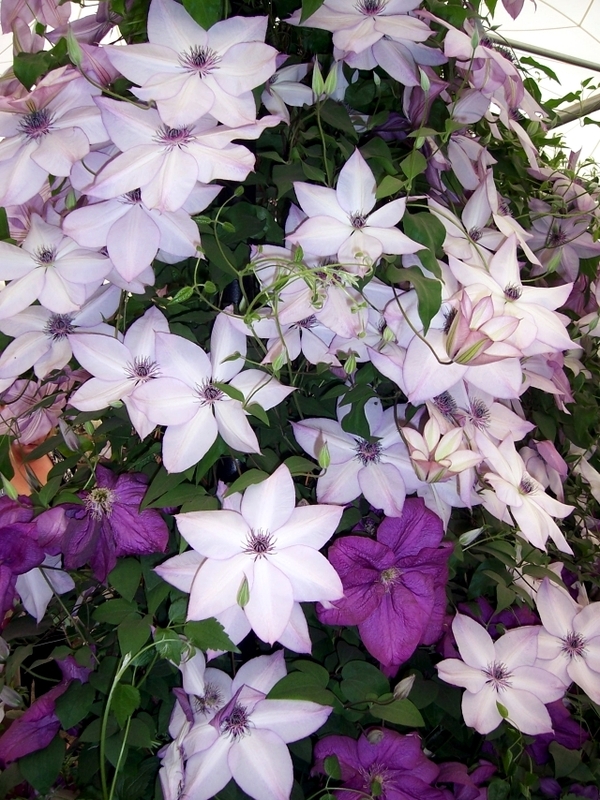 The many varieties of Clematis will allow you to easily find the right color for your individual taste. 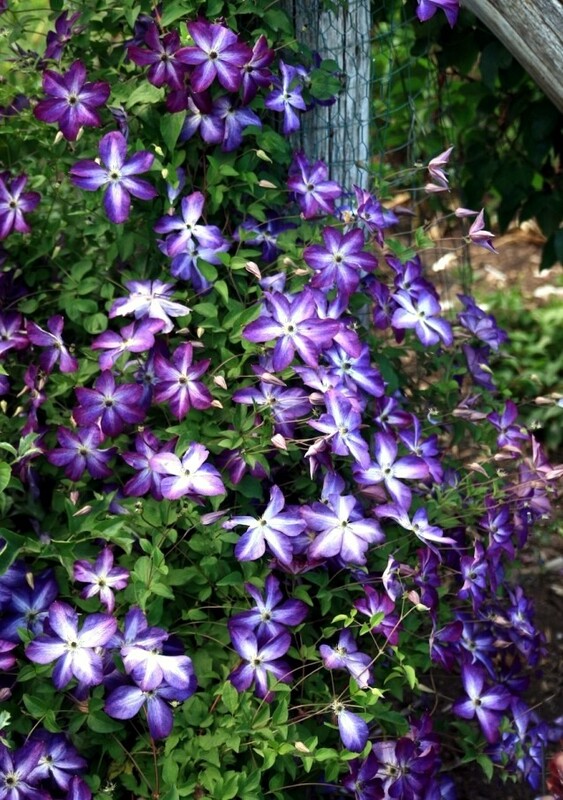 These beautiful plants bloom with white bi-color flowers in blue, purple, pink, and in various other forms. 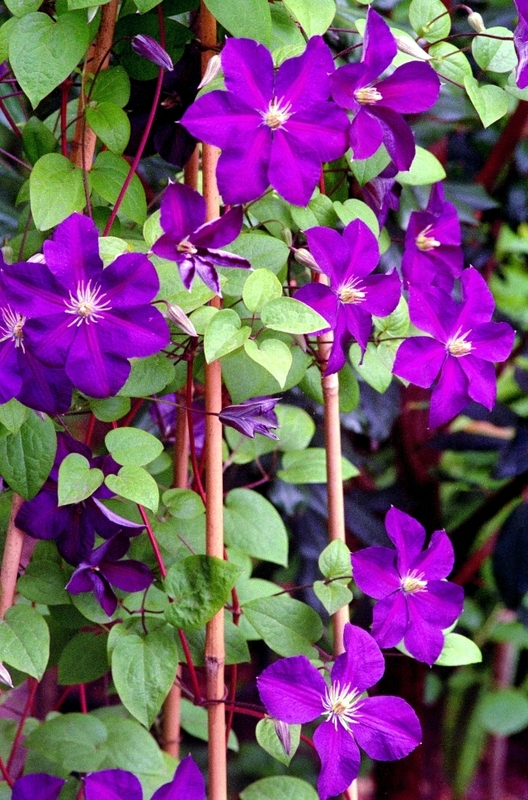 To learn more about the care of the Clematis plant just follow our advice. 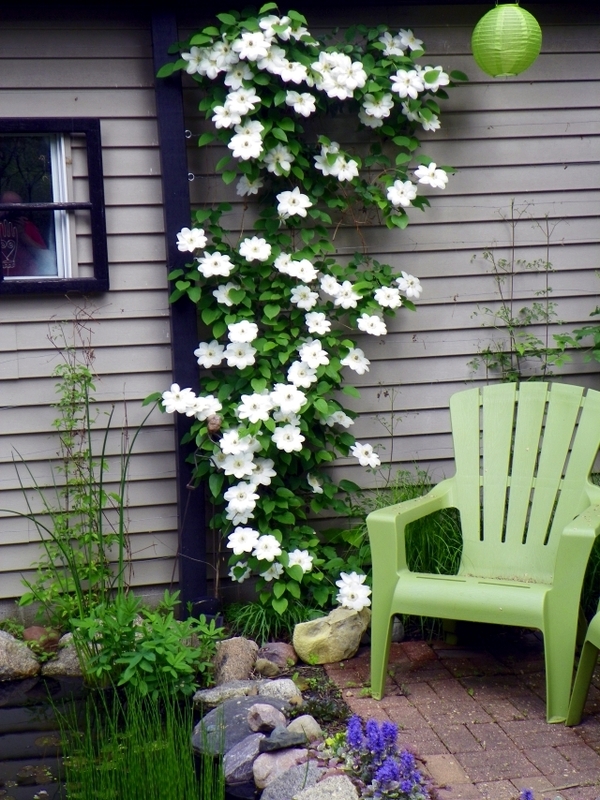 Clematis Climber - When and where to plant? 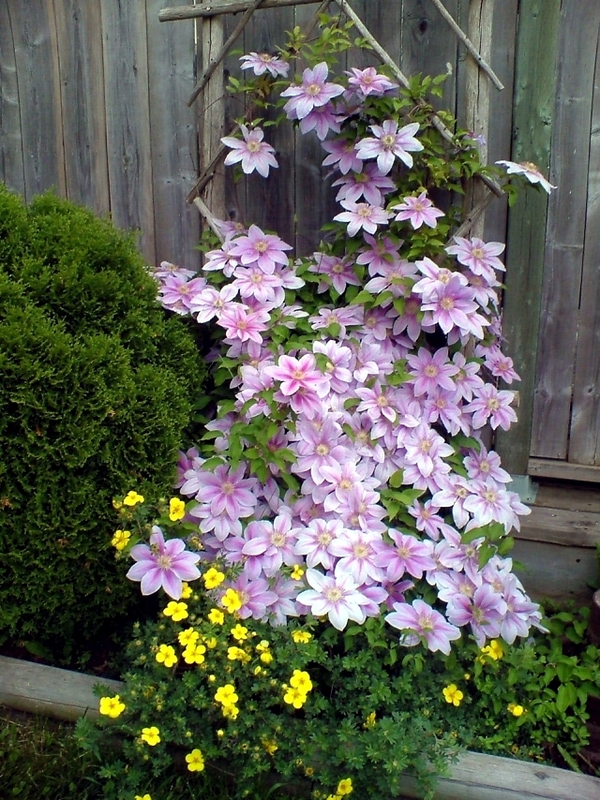 In general, Clematis thrive in a semi-shady spot in the garden when the sun only reaches the ground rather than the flowers themselves. 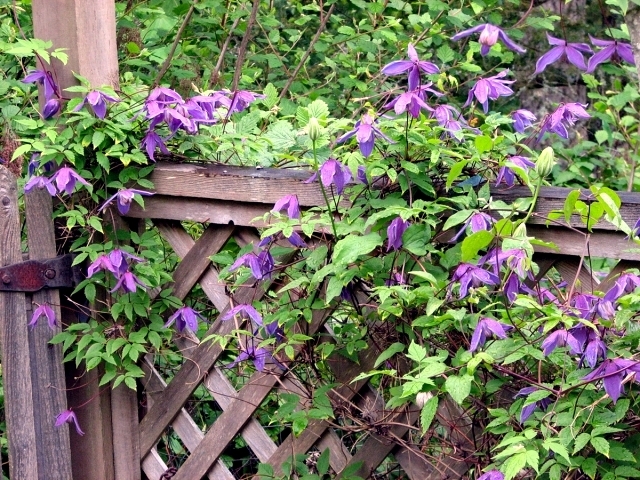 There are also hybrid Clematis bred to thrive in the shade. 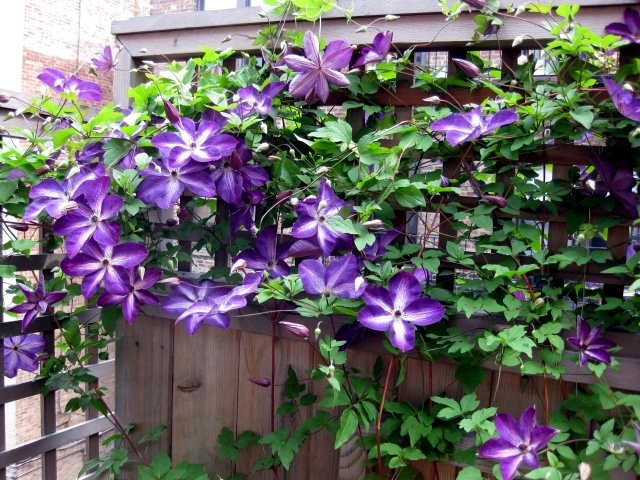 Clematis flowers can brighten the darkest areas of the garden. 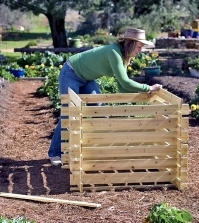 The soil should be rich in nutrients. 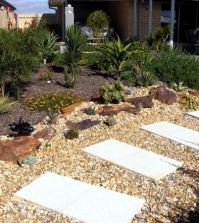 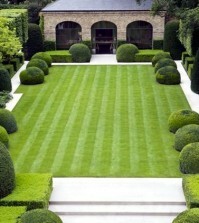 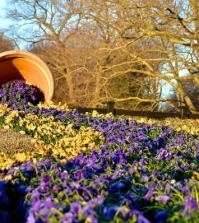 For the planting, you must first dig a half meter deep hole, then add a layer of gravel for good drainage. 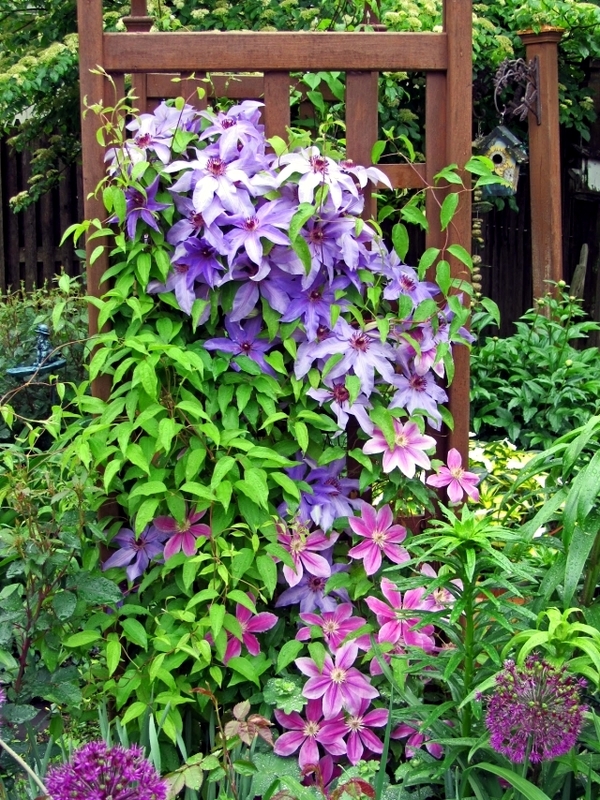 The ideal time to plant Clematis is August and September. 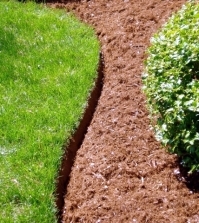 This is when the soil is warm enough to promote the formation of roots. 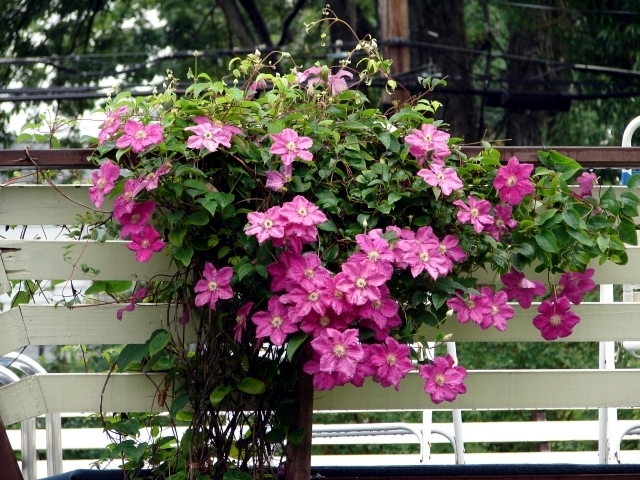 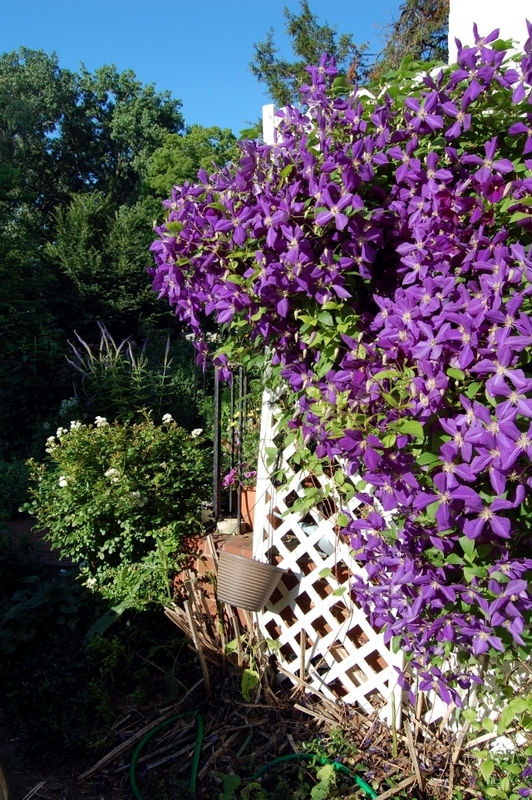 Clematis usually need to be watered regularly, especially in spring and summer. 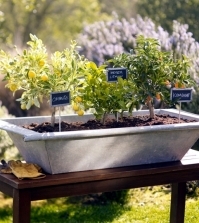 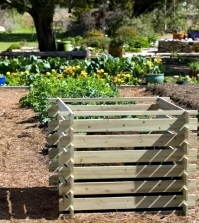 The base of the plant can be covered with a mulching film to prevent drying of the roots. 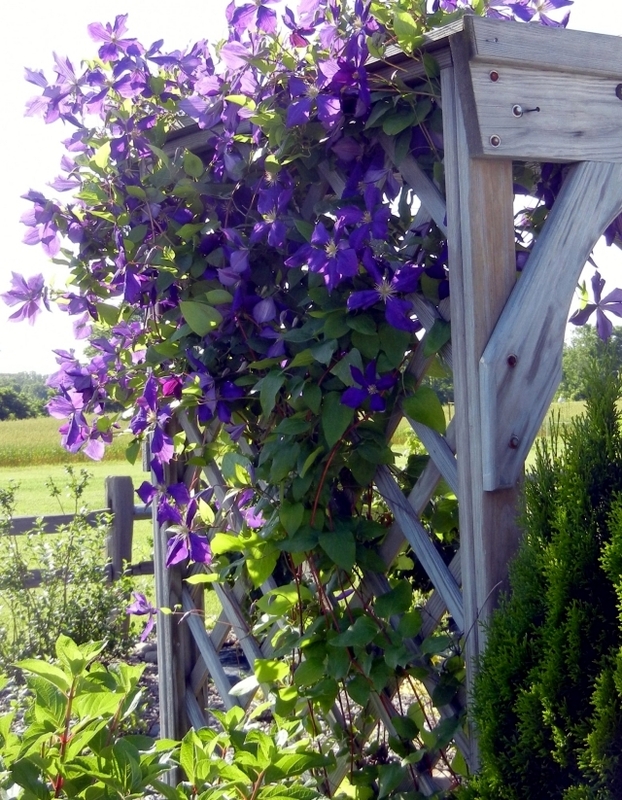 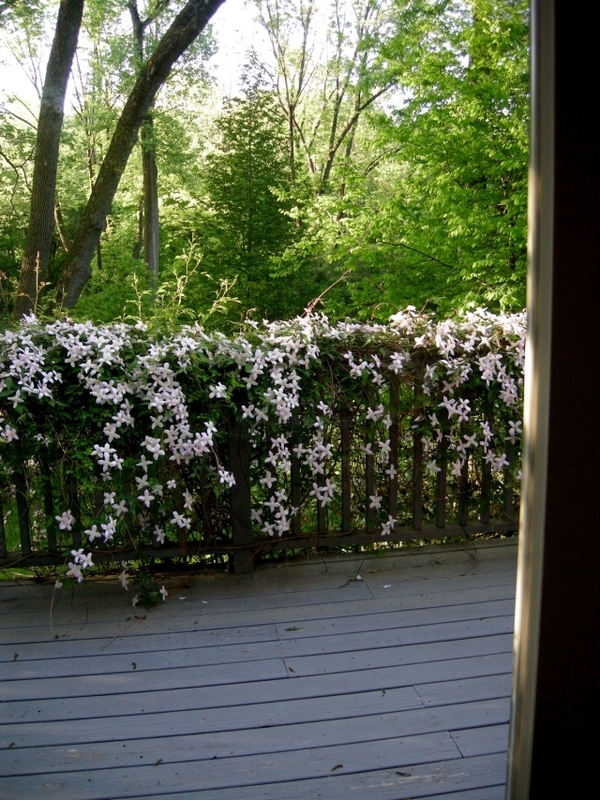 Some Clematis bloom in April and May and others from June to August and when to make cuts again depends on the variety. 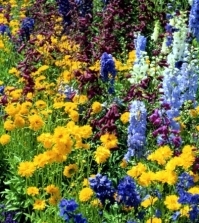 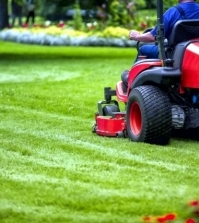 Spring flowers are cut only after blooming and summer flowers are only cut in February or March.